“Articles are the eyes of the auditor,” said CA Shriniwas Joshi, CCM, Mumbai while speaking as a chief guest at the seminar on ‘Bank Branch Audit’ organised at ICAI Bhawan for CA students. The seminar was organised by Nagpur Branch of WICASA of ICAI. Joshi said, the definition of success is different for different individuals but the long-term goal should always be to gain maximum practical and theoretical knowledge during articleship training. He said, it is one of the finest opportunities of ones’ life and one should encash it thoroughly. He prioritised the journey of articleship in the following ranks. First being working hard, studying and passing the exams. Second, doing right things at the right time. Third, taking out time to rejoice amongst friends and family. Last but not the least, to concentrate and devote time for personal growth. The programme was graced by the Regional Council Member CA Abhijit Kelkar. Speaking on the occasion, Kelkar appreciated the efforts of the WICASA committee led by CA Sanjay M Agrawal, Chairman Nagpur Branch of WICASA and congratulated them for setting up a benchmark as this being the first event of WICASA 2019. He emphasised on Bank Branch Audit as it is an opportunity where articles are authorised to get a glance at the inside working of the bank which otherwise one would not be able to see while doing normal banking operations. CA Suren Duragkar, Chairman of Nagpur Branch of ICAI said, “Irregularities can be pointed out in audit only when you have a thorough understanding of the provisions related to it and you are aware of the expectations from you”. He appreciated team WICASA for conducting seminar on such a crucial topic of Bank Branch Audit. Further he, clarified regarding the postponement of CA Exams May, 2019 due to general elections. He congratulated Nagpur Branch of WICASA, 2018 for winning the Best Branch Award at the Regional Level. He also introduced the new WICASA Committee for the session 2019 to all the students and speakers present and wished everyone a happy learning. 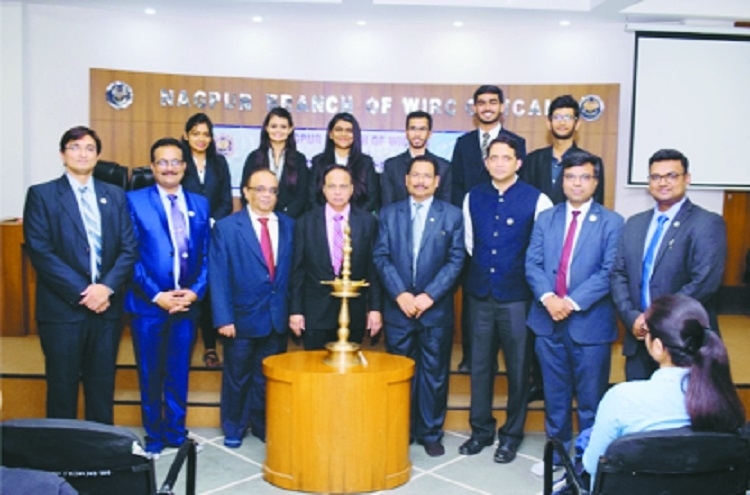 CA Sanjay M Agrawal, Chairman of Nagpur Branch of WICASA, in his welcome address said, “Articles are the backbone of an audit as the primary verification is always done by them and findings of such verification play a virtual role in framing the audit report. We at WICASA planned to do such article development programmes which consist of academic as well as personality development.” Speakers for the day, CA Nitant Trilokekar from Mumbai guided students on the topic of ‘Auditing in CBS Environment.’ CA Govind Batra highlighted the provisions relating to verification of advances and prudential norms; CA Yash Verma dealt with provisions related to Long Form Audit Report. Prominently present on the occasion were CA Kirit Kalyani, Vice-Chairman of Nagpur Branch, CA Saket Bagdia, Secretary and convenor WICASA Nagpur Branch, CA Jiten Saglani, Treasurer, of Nagpur Branch, CA Akshay Gulhane and CA Harish Rangwani, Executive Members Nagpur Branch. The seminar was conducted by WICASA Team comprising of Vice-Chairman Ayush Gupta, Secretary Aditi Pacheriwala, Joint Secretary Riddhi Kothari, Treasurer Vaidik Sakoniya, Joint Editors Ayushi Agrawal and Krunal Dhabale and Member R Aishwarya.